At La 72 Migrant and Refugee Shelter, the year 2018 represents one of the most significant periods in terms of migration. Our work is also transforming as we respond to the needs of our guests, and to the changing demographics. We continue to provide an intense and holistic accompaniment to migrants and refugees moving through the southern Mexico region. We are asking you to support us during this holiday season as we are serving an ever-growing population with greater and more complex needs. La 72 will have served more than 14,000 individuals over the course of this past year, a huge uptick since last year. This year has also brought a significant rise in asylum applications, from less than 400 in 2017 to more than 1,300 at the close of November. Never before have we prepared so many asylum applications in one year. We have also witnessed an increase in the numbers of women who come with children, as well as unaccompanied minors, and LGBT persons. More than 1,700 have come to our door this year. In this prolonged crisis, people continue to leave home looking for safe haven and a place where they can live with dignity and thrive. Many wonder why anyone would embark on this journey, given the repressive legal restrictions, massive deportations, abuse, violations, and exhaustion on the journey, criminalization of migration and asylum-seekers, and family separations on the northern border. The answer is that they continue to leave, now in even greater numbers, because the conditions in their countries have not improved. The environmental impact of climate change, together with renewed political instability and repression, are exacerbating what was already an impossible situation of violence, trafficking, organized crime, and extreme poverty. 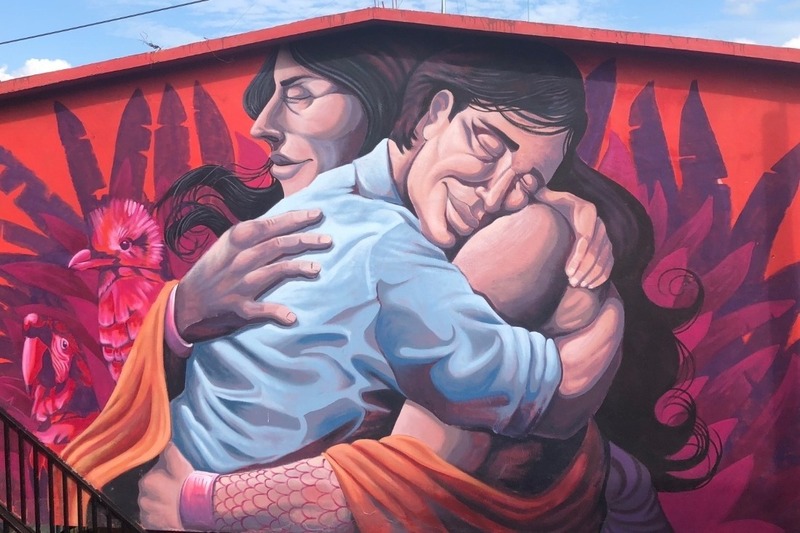 Located in Tenosique, Tabasco, Mexico, near the rail line migrants use to cross Mexico to the US, La 72 houses and serves migrants and refugees, mostly from Central America. Humanitarian assistance in the form of health care, counseling, case management, internet access, food, rest and shelter, as well as clothing and other necessary items are offered to each person. All guests receive human rights education and information, as well as legal assistance for accessing asylum and residency status in Mexico. Finally, La 72 works to change migration policies in order to guarantee all migrants safe passage in Mexico. You can learn more about La 72 at la72.org or find us on Facebook and Instagram. Other informative links include Human Rights First video, UNHCR video , and reports by the Washington Office on Latin America (WOLA). The Central American Martyrs Center/Su Casa Catholic Worker has generously offered to serve as our fiscal sponsor for this campaign.